The plot of the movie “Murder on the Orient Express” will revolve around the murder in the train car of the famous train, which should reveal the Belgian detective Hercule Poirot. His task is complicated by the fact that almost every passenger had a motive for committing a crime. 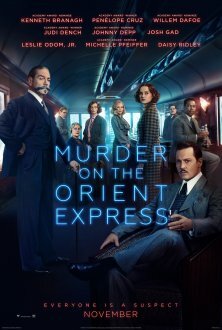 So, the legendary detective Hercule Poirot is forced to urgently go to England from an interrupted vacation in Istanbul, and due to his acquaintance with the head of the “Oriental Express” gets on board, so to speak, along with 13 other passengers. And the train departs.